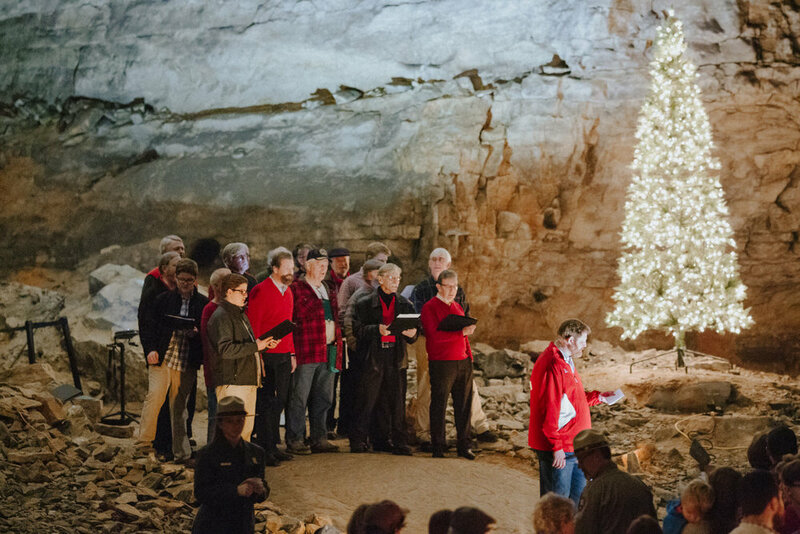 If you have never been inside Mammoth Cave, look forward to the Annual Cave Sing in December. 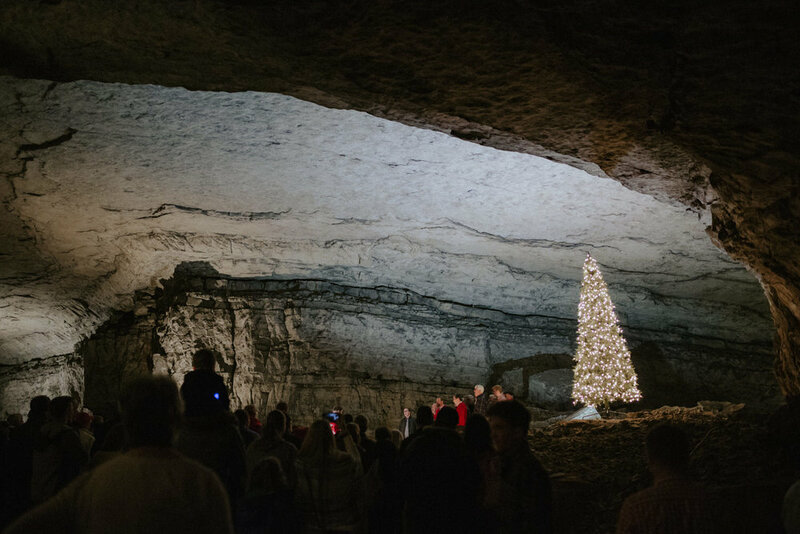 Visitors enjoy the immense, underground beauty of the cave, intertwined with the beautiful glow of a Christmas tree covered with lights and the synchronicity of a holiday choir, brass band and sometimes both. Just one visit inside is enough to suddenly inspire the mind to realize just how tiny we are in comparison to nature. The crowd is in a festive mood, most wearing holiday-themed attire. 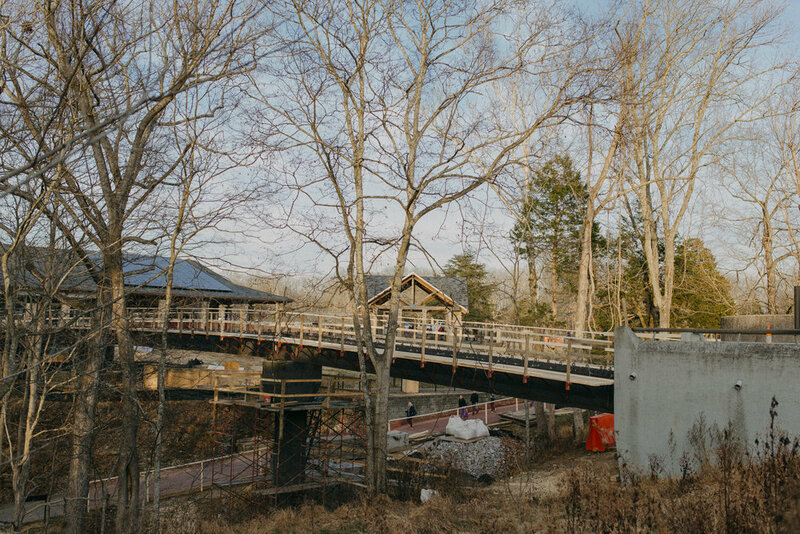 As we descend into the cave, the Park Rangers smile and nod in welcome. 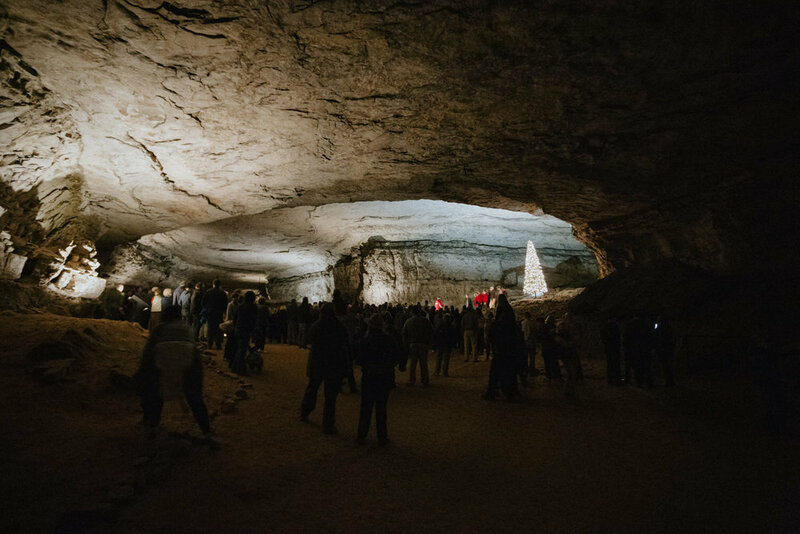 It is a time for celebrating the amazing cave that has hosted this tradition for generations and for enjoying the hospitality Mammoth Cave National Park is known for, such as the hot apple cider, coffee, cookies and photos with Santa and a lady elf, waiting for visitors at the conclusion of the performance. Though my family arrived a bit late, we made it before the performance began. 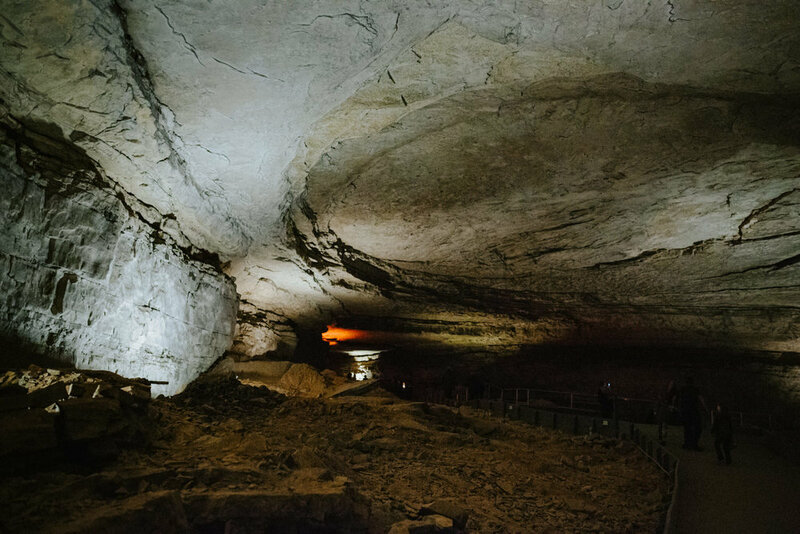 We enjoyed the dim ambiance of the cave lighting. The color, not so much. Quite a vivid orange. I don't mind the strange color if it means longterm protection of the cave. I assume its purpose is to benefit the bats and reduce algae growth. I was able to correct the orange/red lighting using my skills in Lightroom. I was thrilled to correct that color, I was quite worried during capture. Along the path, we found a lone bat, who managed to ignore the frequent pausing of visitors taking photos. Once the performance began, I walked around for a few minutes to capture a few photos of the scene before me. They were, unfortunately, all handheld due to not being allowed to use a tripod, but I'm pleased with how well my low-light skills are improving. I used to avoid images in low-light without a tripod.